Aryavir is not an ordinary prince. 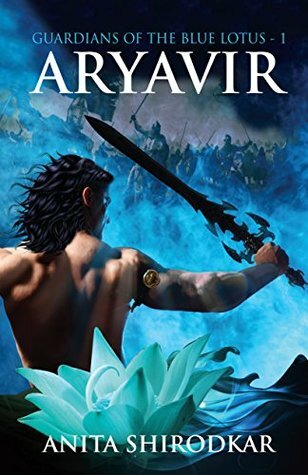 Heir to the throne of Kamalkund, Aryavir is a Kamal Akshi – blue-eyed and blessed by the Indivara, a divine Blue Lotus that protects his kingdom. And yet Aryavir harbours a terrible secret about his fate. His family, led by his father, King Chiraksh, is bound by its own web of intrigue and ancient promises. The complexity of the family’s past and present allegiances and the secrets each family member hides are set against the fact that Kamalkund has to fight off covetuous kings from across the borders who will do anything to control the powers of the Lotus. Meanwhile, as Aryavir, his faithful tiger Kar and friend Sitanshu fight their own battles, the kingdom is faced by clear and present danger. And the past unravels its mysteries unexpectedly. This classic tale pays homage to India’s magnificent mythological heritage and, at its heart, is a story about the eternal human journey. The story is about a family where brothers are separated and ruling different kingdoms. However all wanted to rule their main kingdom ‘Kamalkund’ where they all are rooted from. They all share blue eyes which is common among them and separate them from the rest of the world. Aryavir who is the prince of Kamalkund has great responsibilities of his kingdom, he has a friend Sitanshu who is the best buddy of Aryavir. The story about the birth of Aryavir and Sitanshu is also very dramatic. The Kamal Akshis clan, Jabali, Mayakar, Mammoth interestingly introduced and linked with each other. This is the finest work towards India’s magnificent mythology by Anita Shirodkar. How a royal blood go through the conspiracy, love, sacrifice and bravery, is very well described. Each scene is presented so clearly and gracefully that it keeps the essence of royalty all the times. What are the elements that a royal member has to go through being responsible for its subject, is well portrayed. The writer had taken care of each minute scene from wearing way to eating to discussion etc. that you easily connected with the play and its incidents. A big royal drama is created in a very dramatic way. Incidents are twisted with each other with so much exciting and surprise way that you keep on reading with full excitement. Every chapter is given a name, which actually summaries the gist that you unfold through the reading. Every chapter’s length is just precise neither lengthy nor short, which is the best part of the book. I have read Amish’s Shiva Trilogy which has already set a landmark in such type of mythological stories. I am very happy to say that this story doesn’t disappoint you and take you with itself to a new wonder world where the writer gracefully designs and operates the plot with full innovation and excitement. It binds and awaits you for the next incident to happen or waiting for the consequences of previous incidents. I really liked the book and loved the way the story is written and desperate to read the next part of this trilogy. I love a good book Review. This is a great post. Really nice review. There is a plethora of such books in the market. I will give this one a try. Hey part two is out now! Titled Sitanshu, please do get a copy!